The many challenges related to building and running an information security program can be overwhelming. The chief information security officer (CISO) is responsible for running identity and access management (IAM), data loss prevention (DLP) and many other security programs. On top of those daunting considerations are the complex areas of governance, risk and regulatory compliance. One of the most effective ways to build and maintain these programs is to use a hybrid security framework that is customized to meet business objectives and to define policies and procedures for implementing and managing controls in the organization. It should be tailored to outline specific security controls and regulatory requirements that impact the business. To better understand security frameworks, let’s take a look at some of the most common and how they are constructed. First published in 1990, National Institute of Standards and Technology Special Publication 800-53 (NIST SP 800-53) provides guidance to help U.S. federal government agencies comply with Federal Information Processing Standards (FIPS). Although the framework establishes security standards and guidelines for government agencies and federal information systems, it is also widely followed in the private sector. It is considered to generally represent industry best practices. The Information Security Audit and Control Association (ISACA) produced the Control Objectives for Information Related Technology (COBIT) framework in 1996 to focus on risk reduction in financial organizations. It is also commonly used to comply with the Sarbanes-Oxley Act (SOX). With the latest revision, COBIT has evolved to address best practices for aligning information technology functions and processes and linking them to business strategy. International Standards Organization (ISO) 27000 is a set of broad standards covering an array of privacy, confidentiality and IT security best practices published jointly with the International Electrotechnical Commission (IEC). These standards are designed to help organizations address their risks with appropriate controls. The series includes several subset frameworks specific to various industry types. For example, ISO 27799 defines standards and best practices for the healthcare industry. The Consortium for IT Software Quality (CISQ) developed standards for automating the measurement of software size and structural quality. These standards, which are based on exploits identified by the SANS Institute, the Open Web Application Security Project (OWASP) and Common Weakness Enumeration (CWE), are commonly used to manage risks such as application security. Organizations can also leverage a hybrid framework by choosing specific controls from other frameworks to meet their compliance requirements and business needs. Typically, hybrid models consist of cherry-picked controls from other standards that are driven by industry compliance requirements. For example, the Health Information Trust Alliance (HITRUST) framework and ISO 27799 are both used in the healthcare sector. The Cloud Security Alliance’s Cloud Control Matrix (CCM) is another hybrid framework commonly used in cloud computing. Many frameworks have redundant characteristics, enabling security teams to map certain controls to satisfy compliance with an array of regulatory standards. An organization could, for instance, use a combination of ISO 27001, NIST 800-53 and COBIT, selecting the controls that best help it meet its business objectives. The FBI’s Criminal Justice Information Services Division (CJIS). There is no such thing as a one-size-fits-all approach to security, and each framework has its pros and cons. 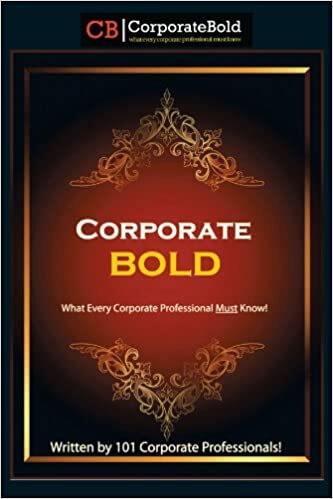 Organizations vary in their complexity and maturity, from small, niche industries to global conglomerates and governments. For this reason, it’s important to research the available security frameworks and balance the benefits and drawbacks of each approach. A hybrid framework can help organizations meet their unique business objectives and compliance requirements. This approach enables flexibility and ensures continued functionality as the technology and threat landscapes shift. Organizations with more basic needs might opt to become certified in an individual standard such as ISO 27000 or PCI DSS. Whichever framework or combination of frameworks your organization selects, a comprehensive strategy to defend against potential threats while keeping data secure is more crucial than ever.